Sustainability: where are we today? The view of Patrik Jones. 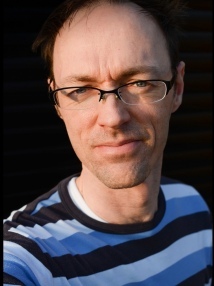 Patrik Jones is the group leader of the Microbial Metabolic Engineering lab at the Imperial College London. 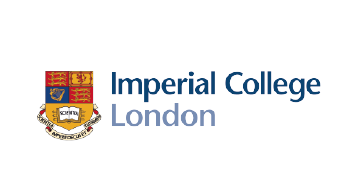 His lab aims at engineering metabolic solution to convert CO2 into biomass and other sustainable chemicals that can replace less sustainable products. We asked him to share his point of view on sustainability. “A major problem in sustainability today is that we still rely on fossil fuels for most of our human activities. A major leap will only happen if we fully replace fossil fuels with alternatives that match different points of view: the financial feasibility, the long-term sustainability for the environment, the energetic return and the efficient use of resources. As of today, fossil fuels are still the cheapest option compared to biofuels from cyanobacteria or other microorganisms. The production of biofuels is technically feasible but not financially competitive. 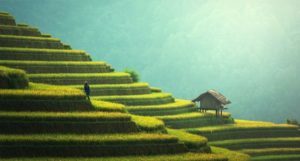 In some cases, it also competes for valuable resources, such as agricultural land, water and nutrients, and therefore, we need to carefully design future biofuel production systems so that they can be sustainable in all dimensions, incl. financial, energetic and environmental. As a palliative, commercial biotechnology is currently focused on the production of other more valuable products for which no cheap alternatives exist e.g. fragrances, food additives, pharmaceuticals, etc. Introducing new genes into cyanobacteria is quicker than into plants but not as quick as one might expect. For example, the bacteria E. coli can be transformed overnight. The same process for cyanobacteria takes up to 1 month, instead. Its timing is extended because cyanobacteria are polyploid – they have multiple copies of their genome – and a process called segregation needs to happen to ensure that the new DNA propagates in all the copies. Further care is needed when introducing a complex pathway in cyanobacteria: “We can’t introduce all the necessary genes at once, as there are too many,” explains Patrik, “Therefore, we do it in a stepwise manner: we start from a group of enzymes that operates at the end of the pathway and move forward”. This trick avoids the production of potentially harmful intermediates that otherwise could impair cell growth. “After one month of waiting, there are still chances that the strain rejects the new DNA and we might have to start all-over” warns Patrik, “Still, this method is way faster than the several months needed to generate an engineered plant”. FutureAgriculture uses cyanobacteria to evaluate the in vivo behaviour of the synthetic photorespiration pathways. Their quick life-cycle and simpler compartmentalisation make cyanobacteria an ideal model organism to work with before moving into plants. The technique is not trivial as the resulting data need an elaborate computational analysis to be interpreted correctly. But it helps to assess if and how the synthetic pathways are replacing the natural photorespiration pathways, and it might even provide some answers on the role of natural photorespiration. Who would have known that a tiny unnoticeable organism as a bacterium would be the father of photosynthesis? Plants have taken their ability to convert solar energy into chemical energy from cyanobacterial-like organisms, which ultimately became the chloroplasts in plant cells. Today, cyanobacteria, sometimes referred to as prokaryotic algae, live in a wide variety of environments: moist soils, seawater and lakes, and they still retain the ability to perform photosynthesis. Actually, their efficiency per area of land is even higher than plants. Like plants, cyanobacteria carry out the detoxifying process called photorespiration to recycle 2-phosphoglycolate (2PG), the toxic side-product of carbon fixation. Unlike plants, they have not one but three photorespiration pathways. “This is quite surprising,” explains Patrik Jones from the Imperial College London, “Cyanobacteria have already a carbon concertation mechanism that elevates the amount of CO2 near the active site of Rubisco.” This strategy should minimize the need for photorespiration, since, if Rubisco has better access to CO2, the production of 2PG is lowered. “It is commonly thought that photorespiration is negligible in cyanobacteria. However, when cyanobacteria lose the ability to carry it out, their growth is impaired.” Indeed, as part of the FA studies, the Jones group is also trying to further our understanding of photorespiration in cyanobacteria. Patrik’s lab uses cyanobacteria as a tool to evaluate the synthetic pathways developed within the FutureAgriculture project and that have been designed to increase the yield of crop plants. “If we could improve the growth of cyanobacteria as well, this would also have positive consequences, as we might even rely directly on them for food” suggests Patrik. “They are extremely good in making proteins: in some strains, proteins account for more than 50% of their dry weight. Few food-sources can boast such a high protein content.” Actually, we already eat cyanobacteria – one example for all, the super-food Spirulina. Get ready, soon cyanobacteria might be part of our diet. What’s the story behind our project? Read on to discover it in the words of our project coordinator, Arren Bar-Even from MPI-MP. He wrote an article for Science Trends providing his overview of the project, its objectives and the legacy that he hopes to leave. The full article can be found here. FutureAgriculture was at the New Scientist Live 2018 – an award-winning, mind-blowing festival of ideas and discoveries for everyone curious about science and why it matters. For 4 days in September, more than 120 speakers and 100 exhibitors come together in one venue to create an unrivalled atmosphere and energy, packed with thought-provoking talks, ground-breaking discoveries, interactive experiences, workshops, and performances. 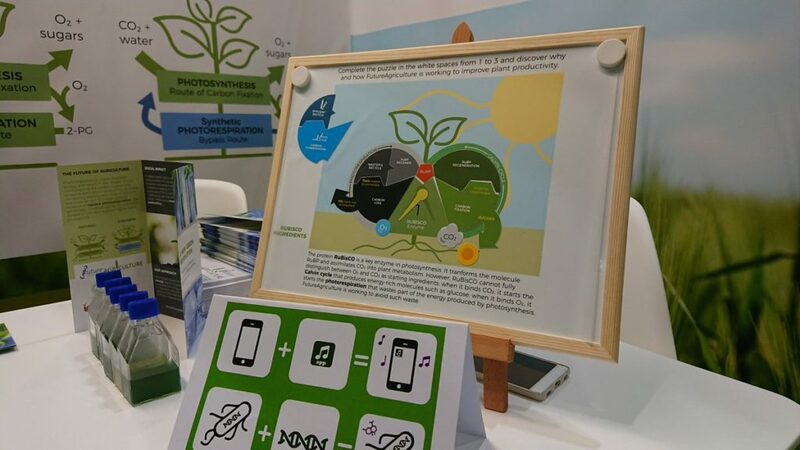 We were at our stand in the Earth zone with a puzzle game about the role of photorespiration in plants and the fun activity “Smell the Future” organized by our partners from Imperial College London. We got so many enthusiastic feedback about the project, thanks to all of you that came to visit us. ePS-1, organized under the auspices of the International Society for Photosynthesis Research, is held in Uppsala, Sweden during the last week of June. 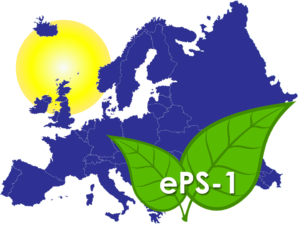 ePS-1 covers all aspects of photosynthesis, from genetics and molecular mechanisms, to crop yields, artificial photosynthesis and solar fuels. Our partner Jan Zarzycki was invited to give a talk at the Metabolism and Metabolic Engineering session. The third edition of the Protein Engineering Canada (PEC) Conference was held at the University of British Columbia (Vancouver, BC, Canada) between June 17-20, 2018. The goals of the PEC Conference are to bring together leading experts in the fields of protein engineering, evolution and design, and structural and synthetic biology, to present their latest findings and develop a strong network throughout Canada and abroad. Among the invited speakers Dan Tawfik, our partner in FutureAgriculture. 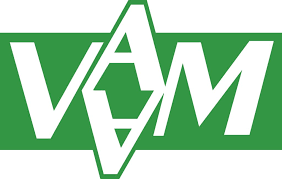 The Annual conference of the Association for General and Applied Microbiology (VAAM) is an innovative and internationally recognized platform for all microbiology fields that promotes the scientific exchange and cooperation between its members. The spectrum of presentations and discussions on the meeting includes biodegradation, fungal biology, synthetic microbiology and many more. 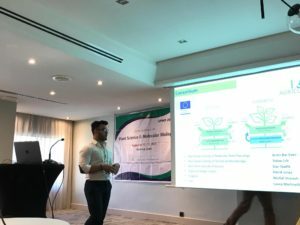 The MPI-TM team was present at the meeting to provide an insight into their current research work for FutureAgriculture. 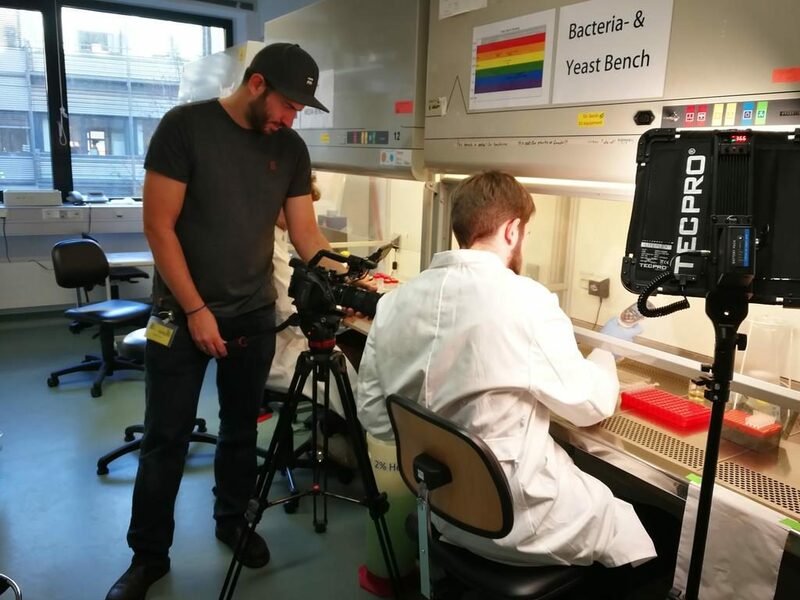 INTERVIEW TO TOBIAS ERB ON THE FUTURE OF… SYN BIO! The National Academy of Sciences in Germany have selected artificial photosynthesis as one of the key technologies to keep an eye on. 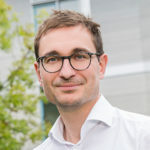 Tobias Erb was part of the working group that aimed at evaluating the state-of-the-art of this technology and its future perspectives. We asked him to summarize this experience for us. 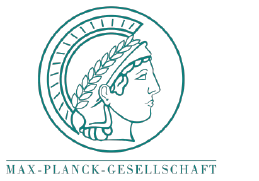 T: Over the last two years, I was part of the group of experts, coming from different disciples (biology, physics, chemistry, material sciences, etc), that analysed the state of the art of the artificial photosynthesis for the German Academy of Sciences. The field is actually vast, it includes projects like Future Agriculture, in which synthetic biology is used to improve the natural photosynthesis, and others that try to mimic the basic principles of photosynthesis by combining chemical catalysts with photovoltaic elements. We have been asked to imagine what we could achieve with this technology in the next ten, twenty, and thirty years, respectively, and what it will require to move the field forward. We all agreed that synthetic biology is an important technology in developing synthetic photosynthesis. There is an innovative and disruptive potential in synthetic biology and thus it is important to keep the vision up and going. Some projects are very risky, like FA, as there is no sure outcome. However, you need to push the limits of technologies and see what it is achievable – that’s why national and Europe projects are fundamental to keep the disciple up and running. What is so disruptive about synthetic biology now? T: In Synthetic Biology, we build something new by recombining biological parts. We can implement very refined and rational changes to build something that Nature has not invented yet, following our intuition. The evolution of the discipline doesn’t differ from what happened in other fields too. Chemistry, for example, started by studying the building blocks of matter i.e. elements, atoms etc. Then it moved forward to synthetize new compounds using the same building blocks. And that’s how we ended up with modern textiles, colours, drugs – and an entire range of new materials that are non-natural but commonly used. That’s exactly what it is happening now in biology: we started by studying the building blocks of the biological material: enzyme, cells, DNA, etc. Now we can use them to synthetize something new with the additional advantage that biological materials are self-optimizing and environmentally sustainable compared to chemistry. What the future holds for synthetic biology? T: The market potential for synthetic biology is estimated at around 38 billion euros for 2020; it will be a key technology in the near future and there is no way to skip this. Nowadays you can look up gene sequences in public databases, use modeling software to make predictions how this gene will perform in the context of a cell and you can order the gene for little more than 100 euros online. Prices will probably drop even more and it’s going to be easier and cheaper to use this technology. At this point we are witnessing the merge between information technology and biology – as scientists, we aim at developing future technologies but citizens and policymakers are the ones that will decide if and how these technologies should be used. This is still an ongoing process because we need to make sure that the technology is feasible, safe and accepted by people. For that, we need to openly communicate throughout the entire process. It’s important that citizens realize that they are part of the decision process and that scientists are listening to the needs and fears of people. Facts and evidence work well in science but to create a fruitful discussion between science and society the best strategy is listening. So far, to improve enzyme efficiency only the active site has been taken into account. However, parts that are far away from the active site can still affect the reaction. The further away from the active site, the less predictable it is what will happen by modifying that part and therefore the rational thinking alone won’t help much anymore. The FutureAgriculture team is now using high-throughput mutagenesis to expand the modifications and cover the entire structure of the enzyme. Lately, some 10.000 variants of the same enzyme have been created and are currently analysed thanks to a novel high throughput method established in collaboration with external partners in Bordeaux that are not part of the consortium. The method consists in creating very small droplets, in the order of 50 picoliters, containing several thousand copies of a modified enzyme. The enzyme activity in the droplets is then tested very quickly with lasers: 200 droplets are processed per second – which means that in only 5 minutes 60.000 enzyme variants can be tested! This droplet screening method developed some years ago, relies mainly on sensitive instruments with custom setups adapted to each system. To that end the partners at MPI-TM teamed up with Jean-Christoph Baret at the University of Bordeaux who is an expert in placing the enzymes in small droplets, sorting the good drops from the bad ones and assaying the enzyme activity. Once identified the best enzymes, it’s time to study them in their context: the carbon positive CO2 fixation pathway. “We want to make sure the enzyme can work well as a team. It’s like in football, you might have great individual players but to score you need a good teamwork, too. Sometimes it makes sense to take out one of the best players and substitute with another option because it interacts better with the rest of the team” explains Tobias Erb (MPI-MP). To test the interplay of the individual enzymes, the CO2 fixation pathway is first recreated in vitro: a small vessel containing all the ingredients necessary to the pathway i.e. the individual enzymes, the chemical energy (ATP) and its reducing equivalents (NADPH), other cofactors that help the enzyme to exert its function, and a buffer that mimics the cell environment. The pathway performance is then quantified by measuring the variations in the concentration of the ingredients. This is done by using highly sensitive mass spectrometers that can accurately quantify the amounts of substrates, intermediates and other metabolites for all the reactions that are happening in the vessel. The team of FutureAgriculture has already tested in vitro the effect of the newly designed pathway onto the CO2 fixing-machinery of the plant. The outcome was extremely encouraging as the pathway showed a beneficial effect on the plant metabolism. 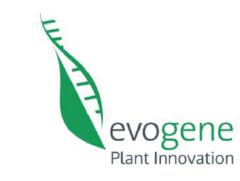 This is the very first proof of principle that the pathway is able to improve plant metabolism in the lab condition, and that the pathway if transplanted in vivo has the potential to positively affect plant growth. “It’s not enough to find an enzyme that can perform a reaction; the enzyme needs to be sufficiently active too” explains Tobias Erb, group leader and director of the MPI-TM in Marburg. That’s why the partners at the Weizmann Institute and MPI-TM have worked hard to improve the identified enzymes and make them more efficient. A fast enzyme: The faster the enzymes the higher will be the impact on plant growth. If the speed of the enzyme reactions is high then the metabolism of the plant will be very active and can operate with high CO2 fixation efficiency. Thanks to the computer modelling of the photosynthesis developed by the partner at MPI-MP (LINK), the threshold of activity that needs to be reached to ensure high efficiency is well-known. An accurate enzyme: The enzyme needs also to be as accurate as possible, which means that it should not have side-reactions. Such side-reaction might be toxic or slow down the metabolism and ultimately affect the plant growth negatively. Once a set of mutation is decided, the mutations are implemented on the enzyme and their performance is tested in the lab. In Tobias Erb’s words “we try to make sure that the modelling is actually happening, that it becomes real” and therefore there is a lot of trial and error and back and forth, from the model to the experiments. Following this process, the FutureAgriculture team has found all the efficient enzymes necessary to complete a new pathway – the so-called “carbon positive pathway” – that should stimulate CO2 fixation in the plant and increase growth yield. Now it’s time to see how the individual enzymes work together. 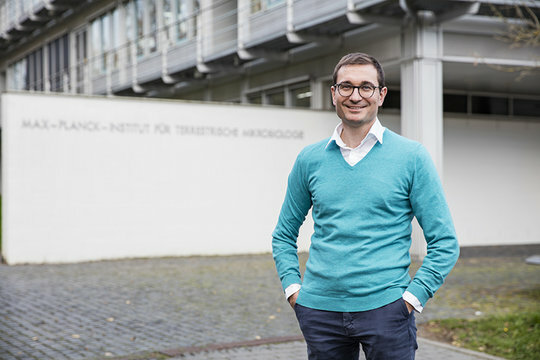 Our partner, Tobias Erb from the Max Planck Institute for Terrestrial Microbiology have been awarded the prestigious Otto Bayer Award for his outstanding contributions in the field of “Synthetic biology, especially the application on artificial photosynthesis”. Part of this research is contributing to FutureAgriculture – the group of Tobias Erb is responsible for the in vitro tests of the enzymes. You can read more in the official press release. The official video is here! After some months of work, we are finally ready to share the official video of FutureAgriculture! The video has been enriched by some hand-drawings made by the fantastic team of MedioMix. The video has also been listed for the ESOF2018 Video Competition “Showcase your project” – don’t forget to put a thumb up and like our video! FutureAgriculture will be at the GBS-2018 Summit in Dubai this August 2018 – Stay tuned for our latest results and updates! For more info visit the website plantsciencesummit.com. Unleashing the technical present / Nov 30 – Dec 02. 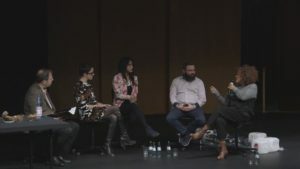 Researchers & artists met for this experimental conference in order to explore the meaning and implications of the technosphere. Arren Bar-Even was invited to the SEEDS session – watch the full performance here. 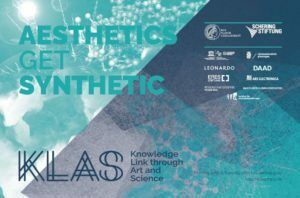 Our project coordinator got the chance to interact with artists and scientists on the topic “ESTHETICS get SYNTHETIC: Knowledge Link Through Art & Science” during the workshop organized by KLAS at the Max Planck Campus in Potsdam-Golm on the 27th – 28th of November 2017. The workshop was an opportunity to bring together scholars and practitioners to jointly discuss and reflect on contents, approaches and methodologies that draw the link between synthetic biology and artistic research and how those can synergically interact by mutually interrogating and reconsidering their methodologies and modes of operation in an Artist in Residence program like KLAS, in which Arren Bar-Even’s team participate as hosting laboratory. 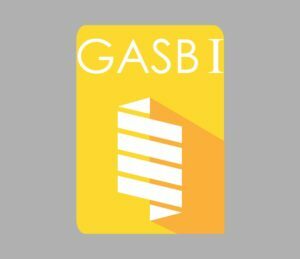 The 1st Synthetic Biology conference “Made in Germany”, GASB I, and the founding event of the German Association for Synthetic Biology, GASB took place on the 24th and 25th of November 2017 in Marburg, Germany. Several members of the FutureAgriculture team were there: Marieke Scheffen and Jan Zarzycki from MPI-TM and, among the keynote speakers, our project coordinator Arren Bar-Even. One of our partners, the Max Plack Institute for Molecular Plant Physiology – MPI-MP, has been selected among the 4 finalists for the European Innovation Radar prize 2017 under the category Excellent Science. This category selects the best cutting-edge science underpinning tomorrow's technological advances. 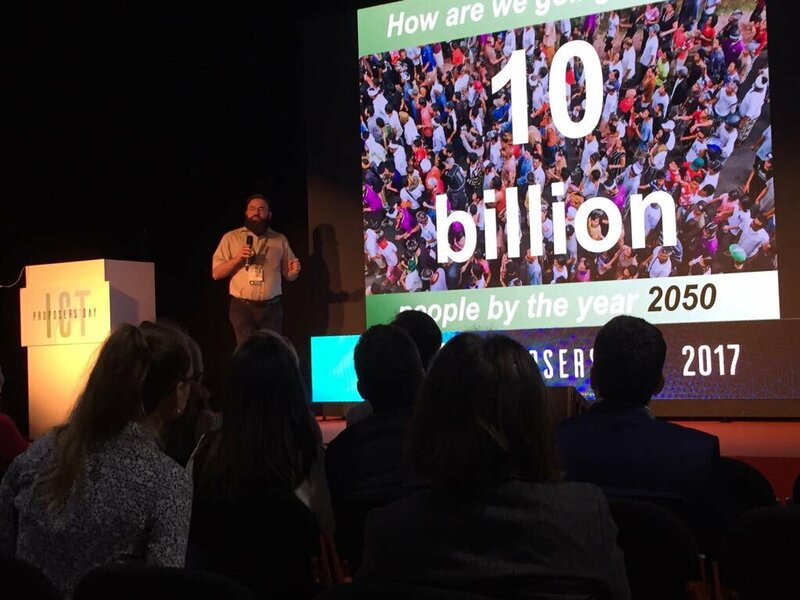 Thanks to this initiative, the FutureAgriculture's team got the chance to pitch their plans for going to market with their EU-funded tech to a jury of experts at the ICT Proposers' Day in Budapest (9 November 2017). More info here. “It’s great you get recognition for your hard work and more importantly for your hard thinking,” says Arren Bar-Even, our project coordinator, of the finalist place and the ceremony in Budapest, "the Innovation Radar champions innovations with strong potential for transformative impacts developed during EU-funded research projects and it is a pleasure to be selected among them." Arren Bar-Even, the project coordinator, during the pitch at the ICT Proposers' day in Budapest (9/11/17). The multiple voices of the FutureAgriculture team! 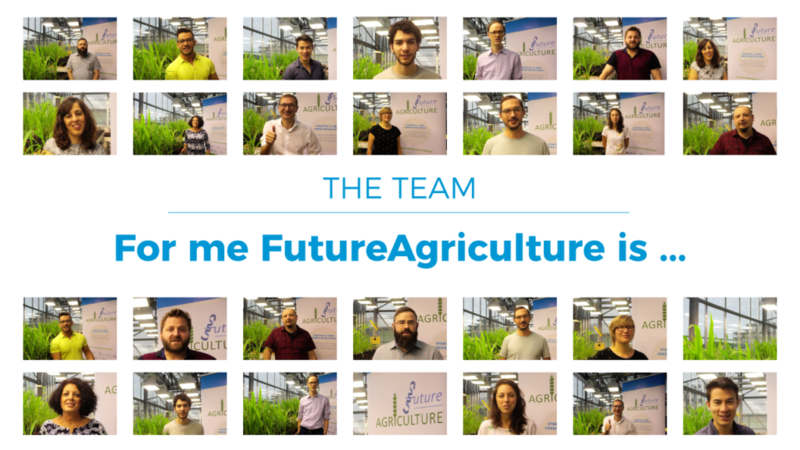 We just released a new video – this time instead of the typical interview we decided to capture in few minutes the multiple voices of the FutureAgriculture team. Each of us condensed the concept of FutureAgriculture in few words and the result is an extraordinary puzzle of points of view. A special thank to the greenhouse facility at the MPI in Marburg that hosted us for the shooting. We hope that you enjoy the video! 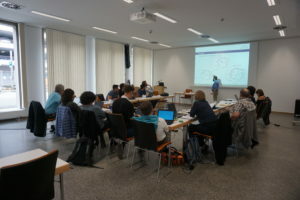 Christian Edlich Muth introduced the computational models used in FutureAgriculture at the GBC2017 in Tubingen (Germany). The German Conference on Bioinformatics (GCB) is an annual, international conference devoted to all areas of bioinformatics (http://gcb2017.de). 7-8th September 2017. We are just back from a fruitful meeting at the MPI-TM premises in Marburg. We had two days of intense exchange, discussion and sharing of results. This time the newly appointed members of the Advisory Board joined us too: Prof. Nir Keren from the Hebrew University, and Prof. Georg Sprenger from the University of Stuttgard. They both gave a valuable feedback to the project! Looking forward to the next meeting in February! 11 September 2017. Selcuk Alsan from MPI-MP gave a talk at the “Global Conference on Plant Science and Molecular Biology” in Valencia, Spain, presenting the latest results from the pathway implementation in E.Coli. More here. Devin Trudeau is a Canadian postdoctoral fellow at the Weizmann Institute of Science in Israel, at the Department of Biomolecular Sciences in the group of Prof. Dan Tawfik. He is responsible for the enzyme evolution in FutureAgriculture. 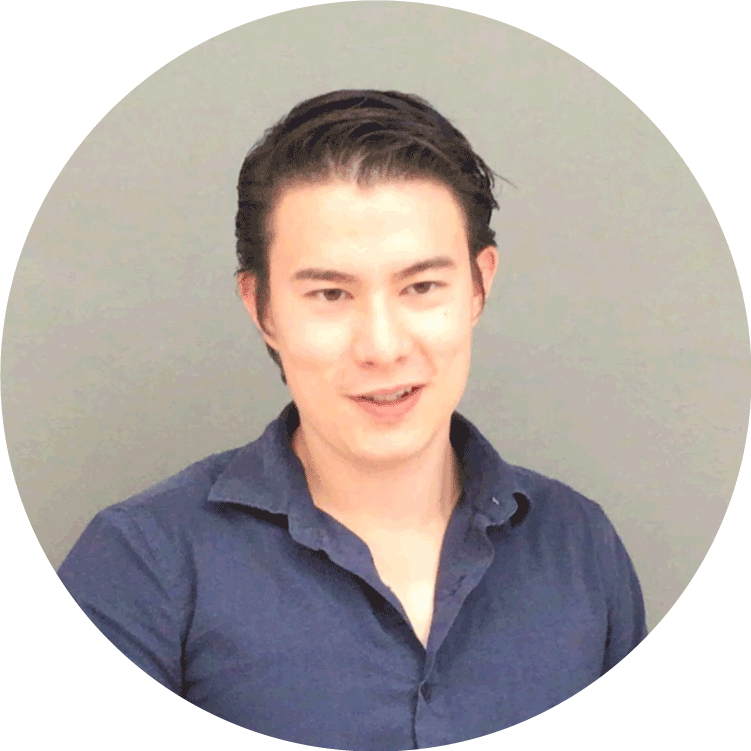 Hi, Devin, what is your role in FutureAgriculture? Our group's expertise is in directed evolution: using the same process as nature, in the laboratory we can make enzymes with new and interesting properties. In FutureAgriculture we are engineering enzymes to work better than their natural counterpart – for example, doing photorespiration more efficiently. My side of the project is to first identify different enzymes candidates that will be used in the photorespiration bypass pathway and then to directed evolution to make these enzymes work at levels that are acceptable for plants. We've been quite successful, in collaboration with other labs in FutureAgriculture we have managed to create improved metabolic pathways that work in the test tube. The next steps are to make them better and introduce them into live organisms. "Together we are able to do a project that none of our labs is able to do on its own." What does it mean for you to be part of an EU-funded project? 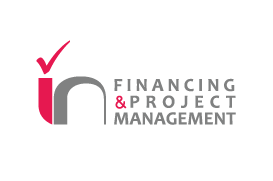 The project enables me to collaborate with a very experienced and motivated group of people from all over Europe. I can work with people that are expert in fields different than mine i.e. chemistry, synthetic biology, theoretical biology, cyanobacteria and plants. Together we are able to do a project that none of our labs is able to do on its own. Our ability to test promising pathways in vitro and in vivo is quite limited. The testing of every candidate pathway would become an endless quest – worth of decades and billions of investments. To select only a few promising pathways we need the support of computational models that predict how each pathway will affect the carbon fixation rate in plants. We have generated a model of plant photosynthesis that takes into account both the central carbon fixation pathway (the Calvin cycle) as well as the photorespiration pathway – either the natural pathway or a synthetic alternative route. This model enables us to estimate which synthetic pathway will result in the highest enhancement of carbon fixation rate, under different conditions such high/low illumination or high/low CO2-availability due to the opening and closing of the stomata. Only the most promising pathways will undergo a more extensive testing in vitro and in vivo. The model also feeds both the in vivo and in vitro testing by setting important parameters thresholds and by giving suggestions on how to reach them. For example, the model can estimate the needed quantity of each pathway component to reach the best performance possible. Therefore it directs the enzyme engineering phase by specifying the minimal activity that an engineered enzyme needs to reach, or it warns us against toxic or reactive compounds that might accumulate during the activity of the pathway within the cells. We then can fine-tune the expression of the pathway components to avoid such deleterious accumulations. The model is also continuously improved by integrating the data from the in vivo and in vitro testing i.e. the enzymatic activity, the growth rate, etc. Models are not completely finished yet but they are already well productive in giving us valuable information regarding the expected pathway. They are expected to be fully operative during the 3rd year. After the identification of the pathways, we need to make sure that all the pathways’ components are available. Our pathways involve both existing and novel reaction – reactions that are not known to be catalysed by any enzyme in nature. We engineer existing enzymes to catalyze such novel reactions in order to sustain the activity of the pathway. Rational design – by applying biochemical knowledge while looking at the enzyme active site and its structure, we can predict amino-acid residues substitutions in order for the enzyme to accept our substrate and support the novel reactions. Library of changes in protein sequences – By using a large collection of alteration in the protein sequence, we can systematically screen the changes that result in better activity. To easily identify the best change within the library we have designed in vitro assays that couples the target activity to a measurable property i.e. fluoresce. In vivo selection – by creating E. coli strains whose growth depends on the novel reactions, we can directly select for enzymes that catalyze it efficiently. Thanks to this method, we can directly select for higher enzymatic activity by simply selecting the cells that grow faster. 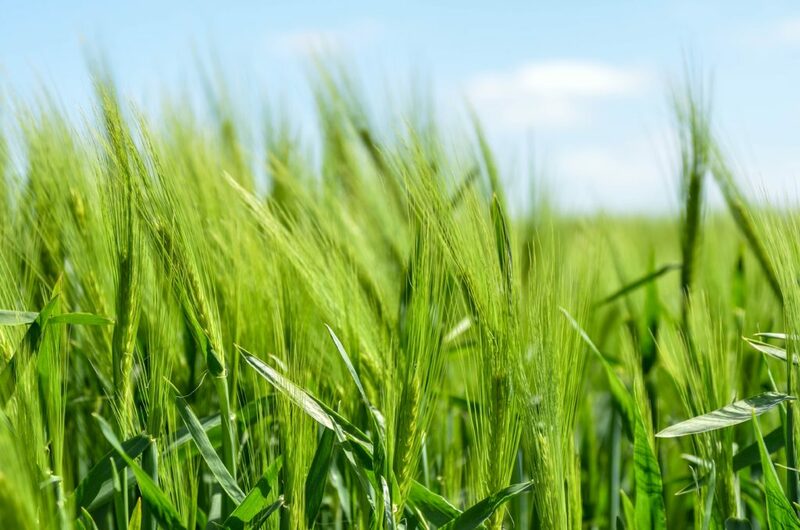 The backbone of our project is the identifications of novel pathways that increase agricultural productivity by enhancing carbon fixation rate and efficiency in plants. The pathway design was completed in the first year, during which we identified more than 100 candidate pathways that can potentially bypass the natural photorespiration without releasing CO2. We have considered all known enzymes and all known enzymatic mechanism to systematically search for all the possible routes that recycle 2-phosphoglycolate, the product of Rubisco oxygenation, back to the Calvin cycles (that supports carbon fixation). Our candidate pathways contained both reactions catalyzed by existing enzymes as well as plausible reactions, i.e. reactions that potentially can be catalyzed by well-characterized enzymes or that follow a well-known mechanism. We compared the candidate pathways according to various physicochemical properties including thermodynamics, kinetics, resources consumptions, and overlap with endogenous metabolism. Our analysis takes into account also how easy it will be to evolve the novel reactions from existing enzyme and mechanism (i.e. the number of novel enzymes required in the candidate pathway and hints in the scientific literature on existing enzymes that could support such new activity). This approach enabled us to select the most promising pathways in terms of such properties and test them in vitro, reconstructing the pathway from its enzymatic components. We are now implementing the pathways in E. coli, using it as a platform for the pathway selection, before finally moving to cyanobacteria and plants.